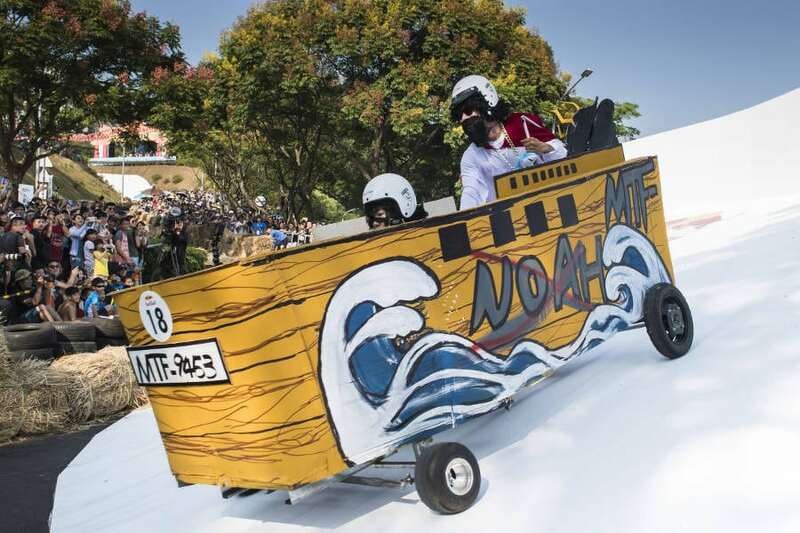 The globe trotting Red Bull Box Cart Race announced its epic return to South Africa on September 16, promising some of the wildest legal street racing around. 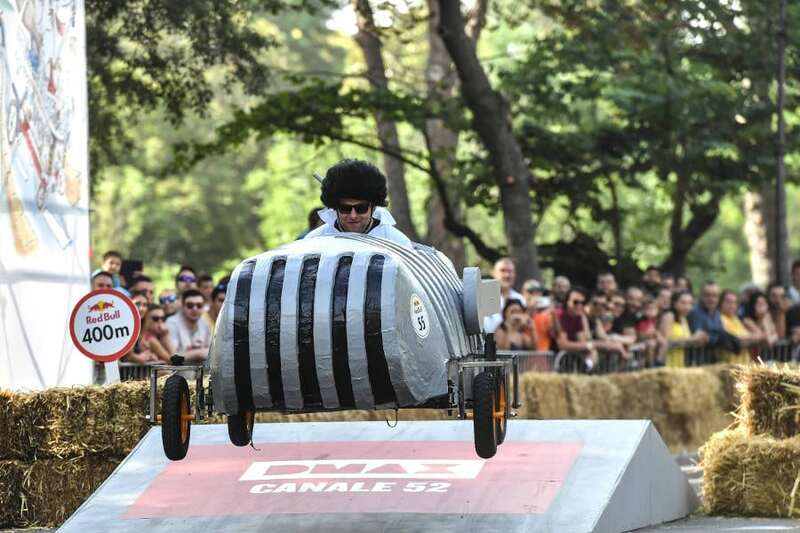 Following the application phase, 80 teams have been shortlisted to compete in front of thousands of spectators in this year’s event and have eight weeks to build their hand-made, non-motorised machines fuelled by sheer courage, the force of gravity and perhaps a little Red Bull. 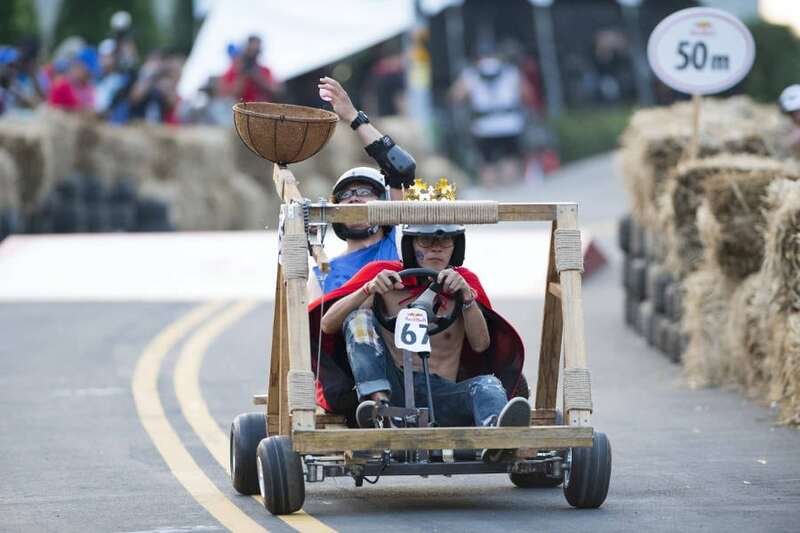 As the 2018 teams and their drivers put the finishing touches to their crafts, We have compiled a quick DIY guide on how to build a box cart that defies speed while remaining sturdy enough to withstand a battering over a series of gnarly obstacles. Start with something that is already a reasonably proven and robust device. You see so many box carts with a bicycle or go-kart design as the basis, or with elements of those things, and those tend to have a good chance. You need strong wheels and strong axles, because it isn’t a smooth ride – there are bumps and jumps; you often see box carts take off, and everything looks fast and under control, but when they land, the wheels are broken and splayed and then it’s game over. They need to be pretty robust, not carry too much weight and have slippery bearings. 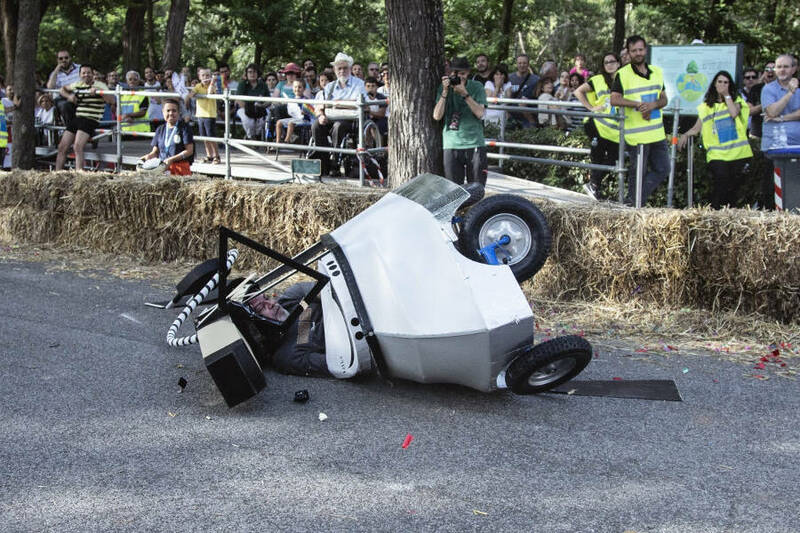 If something is built on a sensible chassis – something with a robust frame, four wheels and a means of steering it – you can stick anything on top of it. You can put a 10ft high Christmas cake on it or make it as aerodynamically efficient as you want. Anything that has two-by-four planks of wood and axles bolted on – one bump and it will fall apart. Some of the really elaborate ones, you know they aren’t going to make it to the bottom of the hill when there is just too much going on. Don’t get me wrong, some look really impressive; some are built from scratch and you think they’ll be slow and fall apart, but somehow they work. From the point of view of going quickly, you need to get your bodyweight as the driver as low as possible. The designs that tend to go the quickest are when the driver is sat as low as possible and between the wheels, rather than up high, as they are prone to topple over. If you had to say what the ideal box cart racer looks like, you’d take an old school racing car – one before aerodynamics came along, when they were basically a teardrop shape with four exposed wheels. That would probably be a bit quick, and if everybody did that, it would be a bit boring. But as a basis, that’s a good way forward. 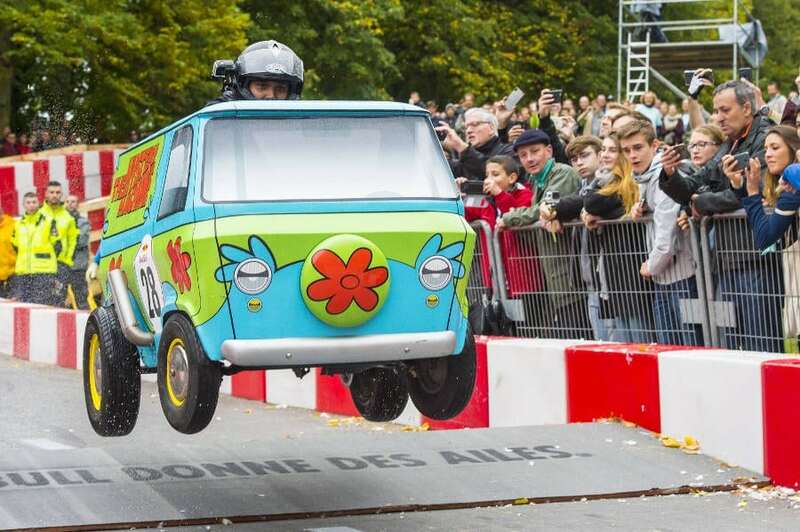 It sounds stupid, but aerodynamics do play a part. If you have a lot of flat surfaces and things sticking up in the air, it will slow you down. There’s no such thing as no air-friction (drag), and if you want to be the quickest, you have to have the least amount of drag. If you build the box cart so that your position is nice and low, then you are going to minimise drag – and that’s a good thing. The final element to building the ultimate box cart, is having fun and this requires precise attention to details from all members of the team. This crucial ingredient is the ace-up the sleeve for any team determined to go down in memory as the epic Box Cart Racers. 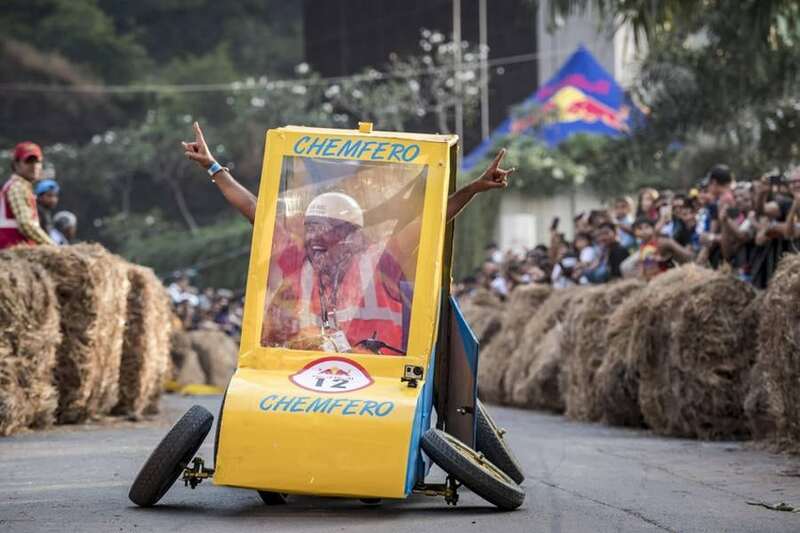 Remember that Box Cart Race includes the best elements of Red Bull, adventure, technology, energy, wiiiiings and loads of fun.